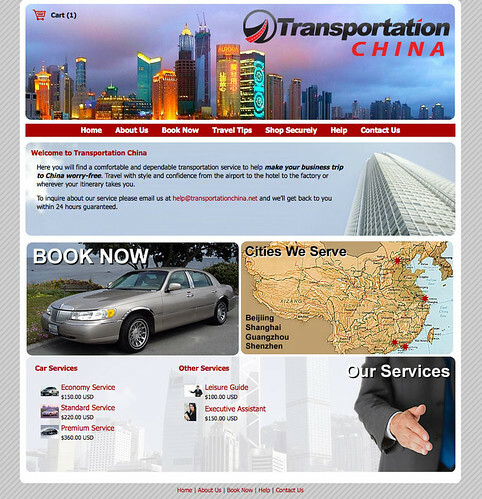 Transportation China offer business travel services in China. They came to me for a simple redesign of their Shopify store to make it more professional and dynamic. With the use of bold photography, and integrating product lists automatically from the shop inventory, we put together a design that gets the message across and is easy for the client to update.